Healthy means enjoying well-being on every level. Let's schedule your appointment today! 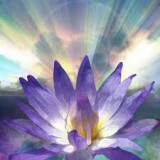 Please contact On Angels' Wings Healing and Coaching by phone or email to schedule your private appointment. It is my pleasure to be of service to you! Cancelation Policy: Your session is reserved especially for you. A 24-hour cancelation is requested and appreciated. * Complementary Sample Session for those who want to experience a coaching before committing to a package! * NOTE: Coaching package sessions are scheduled to occur weekly or bi-weekly. Payment options include cash, check, credit card, or PayPal. Arcing Light Practitioner's Classes Available! © Copyright 2019 On Angels' Wings Healing and Coaching. All rights reserved.